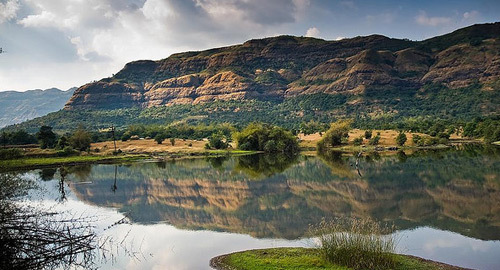 Khandala, at an elevation of 625 m on the Sahyadri Ranges, is the nearest hill station to Mumbai. Due to easy accessibility, Honeymoon in Khandala is the most popular option. The nature at its best, deep valleys, high ranges and virgin beauty unharmed by rapid industrialization are the reasons for people to come to Khandala for their Honeymoon. Enjoy your Honeymoon in Khandala by visiting Rajmachi Park, Ryewoood, Duke's Nose, Shivaji Park, Lohagad Darshan, Amruntanjan Point, Kune Fall, Tiger's Leap, Sakur Plateau, Monkey Hill and Reversing Station. Khandala is a small hill station, so you can explore the entire region in couple of days.Honeymoon in Khandala Plan out an excursion to Lonavala, Karle Caves, Bhaja Caves, Pune and Mumbai on Honeymoon in Khandala. For adventure enthusiasts, Honeymoon in Khandala is a perfect opportunity to indulge in your interests. The terrain of Khandala offers opportunity for rock-climbing activities. There is not mush that you can shop for on Honeymoon in Khandala. Still, you can buy jams, crushes, wafers, chidwa, wafers and sev.